At GEOS Language Centre, we believe that we can contribute to international understanding by teaching languages. Our name embodies that philosophy: Global Educational Opportunities and Services. We have been established in Singapore since 1997. We are part of the GEOS network across Asia, an international network of schools, and provide full-time and part-time language lessons in the English, Chinese, Japanese and Korean. Our Campus is situated at Haw Par Glass Tower, 3 minutes of walk from Dhoby Ghaut MRT station. - If needed, we help you to arrange accommodation! We very much look forward to hear from you and get you started studying with us. Do feel free to contact us or have a look at our language courses! I have a wonderful teacher and great classmates. Everyday my English is getting better. Each lesson is very intense and includes speaking, listening, pronunciation, grammar, vocabulary and group work. I like studying with GEOS. GEOS is very enjoyable. I feel lucky about that. There is no doubt. It's good place come here and live your experience. It's wonderful. GEOS is a nice comfortable school which has a lot of nice teachers. The staffs are helpful and pleasant. I would definitely recommend this school to others. Teachers are patient and caring towards us. I will definitely recommend my friends to study in GEOS. I have studied English at GEOS for 4 weeks. Although it was a short period, I had a great experience here. My classmates were really nice and friendly. Teachers were very kind and have, many good techniques for teaching adult learners. I have enjoyed everytime when I was in the class.Million thanks to my classmates and teachers especially Kristina and Daniel. GEOS is awesome. I really enjoyed my stay at GEOS. Thanks to Kristina, my teacher. I feel more confident speaking English. I have improved my grammar and my writing. I have met some really friendly classmates. I had a really good time at GEOS because my teachers are so friendly. They were always helping me to improve my English. And the school has an amazing atmosphere where I met a really good friends. GEOS is the best language centre for me. Before I started my course I was pretty weak in English but studying here is very helpful. The teachers are excellent and the education we get is very good. I met friend from different countries. I really enjoyed studying in GEOS. When I moved to Singapore I didn't have a good English and my communication skills were bad. After one year studying in GEOS I have improved my language and now I'm able to talk and express my ideas. The GEOS is very good language centre for learning English. I been studying here about 3 month and I happy to improve my English with professional teachers. This was my first class in which students from many countries study English together and I should use only English to communicate with others. So at first I was a bit confused, but I got used to speaking English. I think my speaking and listening developed through these lessons. GEOS is an amazing school to enjoy your trip in Singapore and learn English. Everybody in this school is nice, special mention to Colin, the best teacher ever. He is dynamic and be sure you won't get bored. I also want to thank Evelyn who's joyfull and welcoming. I 100% recommend GEOS!! Thanks for all!! GEOS is the nest language center for me. Before I started my course, I was pretty weak in English but studying here is very helpful. The teachers are excellent and the education we got is very good. I met friends from different countries. I really enjoyed studying in GEOS. GEOS is very good Language Center for learning English. I have been studying here about a few weeks and I am happy to improve my English with professional teachers. My name is Artur from France. I came to GEOS to follow an intensive training in English. Immediately, I felt at ease. Everybody is very friendly and international, the teachers from UK, US, Canada are really interesting and I became friend with most of my classmates. Study at GEOS Language Center was an amazing experience with the help of my excellent teacher, Colin. I managed to achieve my goal to improve my English and increase my vocabulary. I also could meet different people and make several friends from different countries. I will take this experience for the rest of my life. Very good teachers and lessons with a lot of talking sessions. Small groups less than 10 people, so it is easy to talk.i had morning and afternoon lessons with only 1 hour for lunch . You have to walk 15 min to the mall to buy something to eat and 15 min to walk back and only 30 min to order and eat , it's too short . I choose the morning class (3 hours per day). I was in the upper intermediate class with professor Colin. This was a really good experience, we discussed very interesting subjects and learned a lot in a friendly class with nice students. The location is very convenient, very central, 3 minutes from the MRT station. I recommend this school to everyone who wants to learn English. Before I was in Singapore, I had to make a little test to evaluate my level of English. The first day I came to GEOS, I had another little test, but this time it was an oral test. After they had the results and my level of English, I went to a classroom with other people with the same level. It was Colin's classroom, a very nice teacher, the best teacher I ever had. Because he held his English courses with a lot of passion. The courses were in my opinion the best way to learn English because we had to speak a lot with each other, the best way to practice English. At the end of my 7 weeks courses I received a certificate of participation. It was a very nice experience, with amazing teachers and amazing classmates I met from all around the world. The whole course was great except for the last week. There seemed to be a link failure between the second and the third week when my daughter was suddenly thrown into a class more advance than her level and then transferred to another one that started from the ABC's. The last week was really a waste of time for her. Perfect, flexible and really good teacher!! I am so sorry that I have no more time. When I came to Singapore, on the one hand I was a little bit scared, on the other hand I was very excited. To be honest, I have always hated the English language. Since I was a young student, for me, English was the most terrible subject. But now, things have changed completely! The teacher, as well as the manager, and the office people in GEOS all are very kind, helpful and warm! They help you with the easiest problems you have, answer every question you have, and have everything you want to know (not only about English, also about Singapore, the people, the culture)! The teacher themselves are very professional! Every teacher has his/her own way of teaching! I had the opportunity of getting to know four different teachers, each with a different kind of teaching style, and now I can definitely say, that all teachers really always try to give their best. They all teach you in a perfect and level-adjusted way! They also try to go into detail about something if someone has a special question! The school and the teacher were so great that I increased my booking on the second day from 3 hours/day to 6 hours/ day! This was the best decision I made! 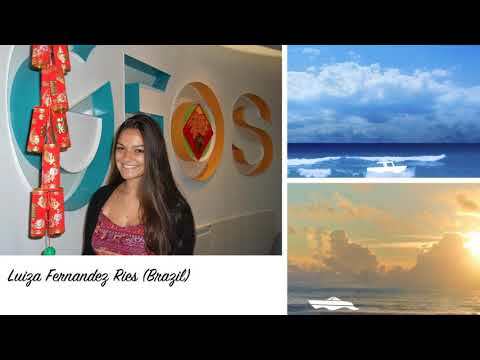 GEOS helped me to improve my English, especially the grammar and the speaking! They are all highly educated, and you can see the joy and passion they radiate! At the beginning, I wrote that I hated English when I was a young student, but now things have changed completely! I love English so much. I'm so sad that I have to go back home to Austria, but I'm looking forward to going to Singapore and to GEOS soon! Teacher are all native speaker. Training documents and own learning curve are average. Communication and correspondence b/w school and student very good. The teacher, Colin, is a fantastic professor! The location of the school is very good too, very easy to find. I'm really desolate to say that overall, I am disappointed with the English course I took at GEOS Language Centre: Singapore. In my opinion, an intensive course shouldn't be organized like a school lesson, where the teacher reads a rule and afterwards tells students to do the exercise. This method is not good for young students, and is even worse for adults. The teacher should create a situation that gives everyone the chance to learn and apply in everyday situations what was taught. Going to the museum at the end of the course and hoping everyone would talk about the pictures is Utopia if before and for two weeks the students spoke very little. I appreciated and enjoyed the people of the school, the teachers, and those responsible for administrative duties for their commitment, courtesy, and helpfulness (but not for the course organization). The location was very good as the MRT station was near the school. My classroom was very bare - devoid of educational material useful for learning. I didn't buy the book and I received only some photocopies to for the exercises. The only unique activity was going to the museum at the end of the course. For the housing, I was staying at a hotel. At the end of it all, I want to say that every experience gives you something if you would like to receive and appreciate it. Both the positive and the negative of everything help you grow, and if I can help you to improve yourself with these words of mine, I will be proud! When I arrived the first day, I was frightened. But from my first morning, my teacher Daniel reassured me. I quickly made contact with the other pupils who welcomed me in very well. It was difficult for me to follow the rhythm at first but I quickly understood the way of working. I appreciated the morning and the afternoon exercises based on conversations. I think these exercises are a good thing because they allow the pupils to speak between themselves. My teacher in the afternoon, Amber, teaches well and work based on games is a very good technique. The school is a little complicated to find, but this place is good. Before coming to school, I thought 2 weeks of class were going to spoil my holidays but during my last day I was so sad to leave. I think this is a very good experience because I improved my English and met a lot of people who are now my friends! English courses at GEOS allowed me improve my English. I found that English courses in Singapore are different than in France. I liked speaking with my teacher as it was very interesting. I liked meeting people with different nationalities. I enjoyed my classes. All staff was very pleasant and helpful. Teacher was very friendly and professional. I enjoyed the school. It was great. I won too many friends as a result. The teachers are great and it is like a big family. Everything is very straightforward. My English is now much better, but still not as I would like it! Maybe I will go again 3 months at the school. But, unfortunately at the moment, it is financially not inside, because we have to pay is still my training and further education. Maintenance in Singapore is also not cheap and that's why I have to wait, unfortunately, until I can go to school. Otherwise, I am very happy. I really enjoyed my time in GEOS. All teachers are very kind and friendly. I'm happy that I chose GEOS to improve my English. Thank you. Thank you for classes in GEOS! I have had a great time. I'll be back next year to continue my education. I have enjoyed in a new system academy. I have experienced the education in a modern country like Singapore. The school is located near by central where is convenience to take transit to go around the city. Bryan is one of the most friendly teachers that I have ever met. He has been patient on explaining and teaching us. I was able to make some international friends and have great time together. I am thankful for the experiences that I have been in GEOS Language centre with nice people. I had a good experience at here. Teachers so kind and their instructions are very good , their instructions are easy to understand. I think Geos is a good language school . Its location is near the train it easy to find. It has a good location. I really liked it to go to GEOS, there were people from different countries and the teachers were native speakers that is what I liked the most, because there were many little mistakes which I made for years, but now I know what I can do better. The teachers played games with us, and showed which mistakes we make and do not even notice. I liked to study in this school, teachers are great. Lessons and teacher were very good. I like this school and I recommend it. School was in a very good location and It was perfect in interior. Equipment in school was new and very good. I like this school and it was very close to my place where I stay for 3 weeks. My teacher was absolutely good. I like him, because he loves his job and he was perfect in teaching us English. I asked in school for activities after school and they told me that they are working on this plans. And after three weeks nothing happened and I'm very sad about it. Really good experience and fascinating teacher ! Perfect, flexible and really good teacher! When I came to Singapore, on the one hand I was a little bit scared, on the other hand I was very excited. To be honest, I have always hated the English language. Since I was a young student, for me, English was the most terrible subject. But now, things have changed completely! The teacher, as well as the manager, and the office people in GEOS all are very kind, helpful and warm! They help you with the easiest problems you have, answer every question you have, and have everything you want to know (not only about English, also about Singapore, the people, the culture)! The teacher themselves are very professional! Every teacher has his/her own way of teaching! I had the opportunity of getting to know four different teachers, each with a different kind of teaching style, and now I can definitely say, that all teachers really always try to give their best. They all teach you in a perfect and level-adjusted way! Teacher are all native speaker. I'm really desolate to say that overall, I am disappointed with the English course I took at GEOS Language Centre: Singapore. In my opinion, an intensive course shouldn't be organized like a school lesson, where the teacher reads a rule and afterwards tells students to do the exercise. This method is not good for young students, and is even worse for adults. The teacher should create a situation that gives everyone the chance to learn and apply in everyday situations what was taught. Going to the museum at the end of the course and hoping everyone would talk about the pictures is Utopia if before and for two weeks the students spoke very little. I appreciated and enjoyed the people of the school, the teachers, and those responsible for administrative duties for their commitment, courtesy, and helpfulness (but not for the course organization). The location was very good as the MRT station was near the school. I like the course at GEOS. It was a very interesting experience. I hope I'll book more classes in future.